Samsung will start shipping its eight-core Artik 10 board computer next month, a challenger to the Raspberry Pi 3. The Artik 10 was first announced last year and could be a PC replacement if you don't mind building out your own system. It could also spawn the development of smart appliances, drones, robots and other gadgets. Like the Raspberry Pi, its components are crammed onto a small circuit board. The Artik 10 will be available from online retailer Digi-Key starting in May, Samsung officials said. Pricing wasn't immediately available, but the Artik 10 could end up being more expensive than the US$35 Raspberry Pi 3, and even the $99.99 Artik 5, a smaller Samsung board for wearables and small gadgets that started shipping in February. The Artik 10's eight-core, 32-bit ARM CPU has some horsepower, but it still seems dated compared to the 64-bit quad-core ARM CPU on the Raspberry Pi 3. Samsung's latest smartphones have 64-bit processors, but it still opted for older technology on the Artik 10. The CPU has four Cortex-A15 cores, which handle the most demanding tasks, and four lower-power Cortex-A7 cores for lighter use. The Artik 10 has better graphics than the Raspberry Pi 3. Its Mali T628 MP6 graphics processor can show HD video at 120 frames per second, while the Raspberry Pi 3 can handle HD video at 60 frames per second. The new Artik board has 16GB of flash storage and 2GB of LPDDR3 memory, both greater than on the Raspberry Pi 3. It also has USB ports. Artik also has wireless capabilities and expansion ports to connect external sensors, cameras, displays and other components. Key features include 802.11b/g/n Wi-Fi, Zigbee and Bluetooth. It has GPIO, UART, I2S, I2C and SPI connectors. The Raspberry Pi 3 does not have Zigbee, which is used for point-to-point communication between sensor devices. With Artik, Samsung wants to tap into the fast-growing Internet of Things market. Gartner late last year predicted 6.4 billion connected devices will be used worldwide in 2016, and that number will reach 20.8 billion by 2020. Samsung wants to get its memory, processors and other components in more of those connected devices. Samsung also has a grand plan to equip homes with Internet-connected appliances like refrigerators, ovens, washing machines and bulbs starting next year. The Artik boards will help enthusiasts develop and test products that could fit in such environments, said Curt Sasaki, vice president of ecosystems at Samsung, in an interview. 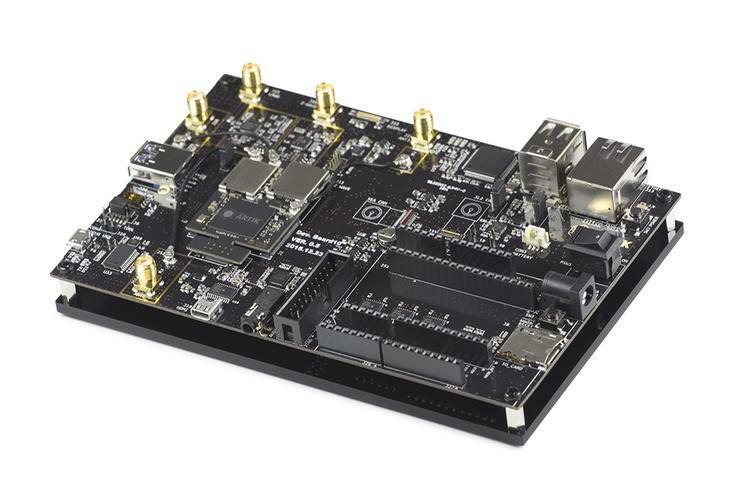 The Artik boards will also connect to the Artik Cloud service, an open platform through which a wide range of devices will be able to talk to each other. Artik Cloud was announced at the Samsung Developer Conference being held in San Francisco this week. The Artik Cloud could be used for applications in security, health, driver assistance, and home and industrial automation. For example, users could store information in the Artik Cloud about the temperature at which their air-conditioner should turn on and off. Last year, Samsung also announced a small development board called the Artik 1, but it won't be sold to enthusiasts. It'll she directly to manufacturers looking to make products such as smart bulbs, Sasaki said. Artik will come with a version of Linux for embedded devices.